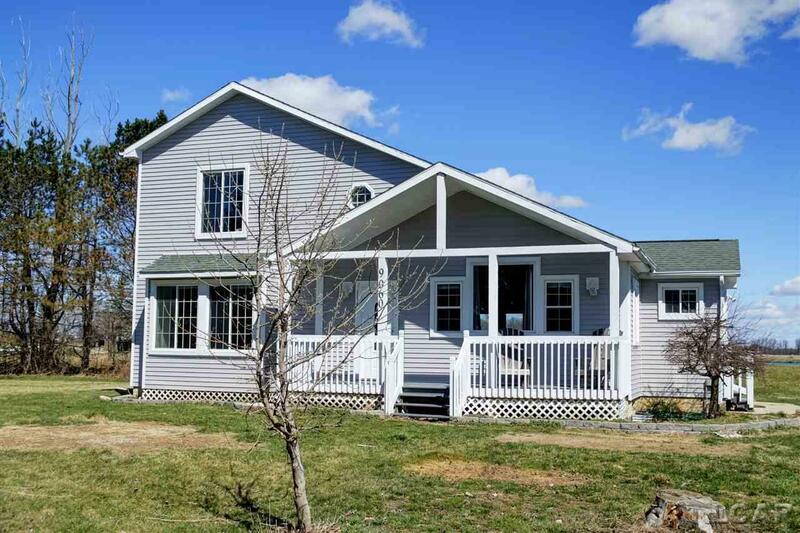 Welcome Home to 9060 E Monroe located 600 feet off the road on 2.19 acres! Step inside and you'll fall in love with the 'mud room' that has brick floors and plenty of storage along with a 1/2 bath. 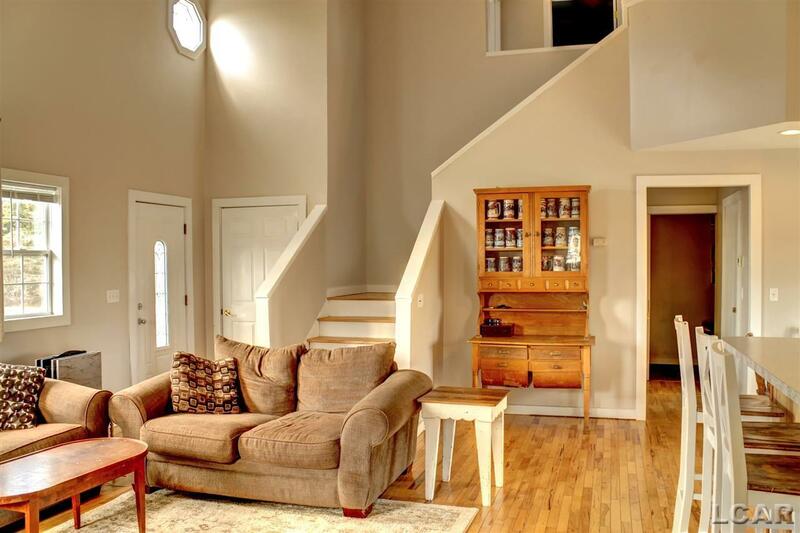 Soaring ceilings greet you with open living room, kitchen, and dining area. 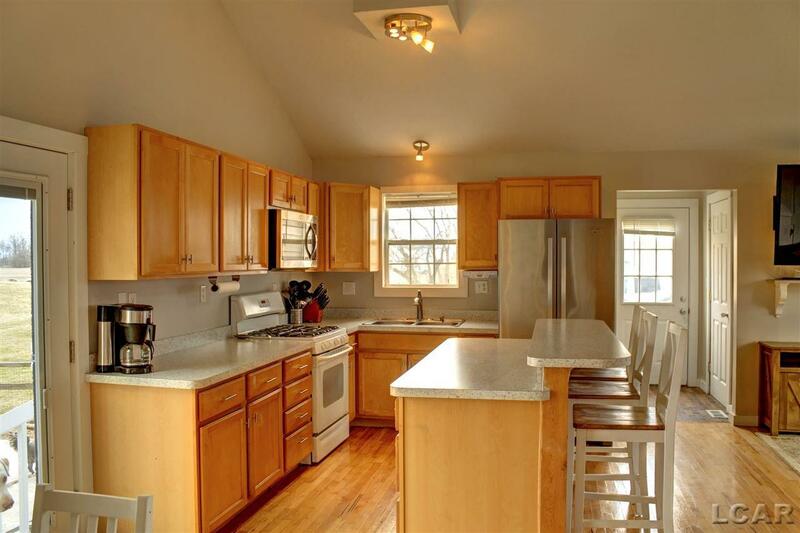 Home offers spacious master suite with lots of storage along with a first floor office/den/nursery/play room. 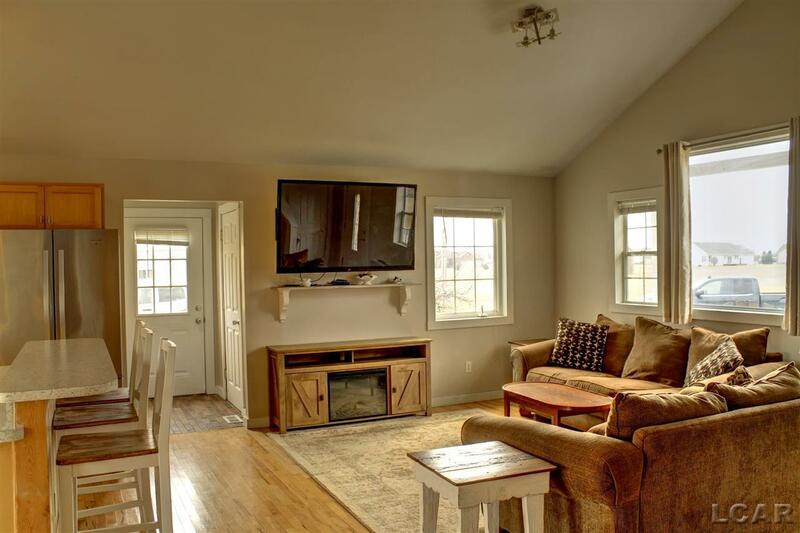 Upstairs offers 2 bedrooms, full bath and wonderful reading/ playing cubby! Basement offers high ceilings and could easily be finished! Lots of space to add a garage but also offers a 28x18 barn to hold all your outside things. Bonus... Natural gas and township sewer!! !